IT IS finally here, week one of the NTFL Women’s finals will take place today with three exciting games of footy. Despite earlier reports of a top-five finals series, it will be a top-six competition like the previous year, meaning St Marys will go at least one more round. The first match will kick off with the heavyweights Palmerston taking on the reigning premiers Waratah. This game will serve as a qualifying match as both teams are looking to grab bragging rights early. Up next the Southern Districts will face off against St Marys in the first elimination final. The Crocs have dished out a hiding to the Saints twice this season, but anything can happen in finals. Lastly, the Darwin Buffettes will meet Pint in the final elimination game. The Buffs have been wounded by the loss of key players this year, so will have to dig deep to beat the Queen Ants who are at full fitness. The Magpies had an average start to the season, but now they look dangerous. This side of youth mixed with experience is sure to give the Warriors a run for their money. The midfield of both teams is nothing short of classy. Lisa Roberts, Alysha Healy, and Madeline Gault meet Natasha Medbury, Jessica Stassi, and Tabitha May, which should prove to be a classic battle. Waratah ruck, Joanna Kolodziej may dictate in terms of the hit-outs as she has done for most of the year. If the Warriors win the clearances, Amy Chittick and Lauren O’Shea could wreak havoc on the scoreboard. Fortunately for the Magpies, forward, Lisa Mecli has been missing in action. Billie Byers and Jessie Brock might be the perfect matchup against Waratah’s dynamic duo. As for Palmerton’s forwards, there is no shortage of talent. Freda Puruntatemeri has danced around the best defenders all year. Her speed and skill are well complemented by teammate Shenaida Bush. This pair of speed demons will need a unique opposition to stop them. Puruntatemeri v Puruntatemeri could be Waratah’s answer while Sharona Bishop keeps an eye on Bush. The game could go either way, but one thing is certain, this is the game to watch this Saturday. This will be an uphill battle for the Saints, with the Districts having crushed the Saints on two separate occasions this season. Charles Deegan and Taylor Thorn have used their size and speed to run St Marys’ defenders off their legs in the past. Lori Niven and Courtney Webb will need a well-organised backline to contain this problem. The ruck area of the game is where the Districts thrive, with the combination of Ebony Miller and Indy Sleeth better than most teams. Their tap work and ability to cover the ground is a class above the rest. Saints rovers, Natasha Dunn-Richards and Simone Garner may need to shark the tap-outs if their rucks aren’t up to the challenge. Up forward the Saints have a gun and an issue. The gun is Alana Coombes, who looks to be their most damaging forward, while the problem is Districts’ Lateesha Jeffrey. Her leadership down back has created a solid defense for the Crocs and only the fastest forwards can break it down. Unlike some of Coombes’ partners in attacking 50, they lack the speed she has in spades. The Crocs could not be more favoured to win this match, and on paper they seem to have more talent across the board than St Marys. History looks likely to repeat itself this Saturday unless a miracle happens, so the Saints will be hoping for one. The Buffs have no Brittany Ward, no Tikesea Docherty-Cole, no Jasmine Anderson and no Nicky Anderson, meaning Pint has a huge advantage considering they are going into this match with a full strength team. Machaelia Roberts and Kylie Duggan have been dominant in the centre of the ground, however players like Jemma Iacono and young gun Domonique Carbone need to lift if they want to get the job done. Pint’s Cassie Henderson, Samantha Barnett, and Katie Streeder play as a cohesive unit. Darwin’s forward line power has been missing over the last few weeks as Celina Whan seems to be carrying the load in attacking 50. Leading goal scorer, Meredith Turner has kicked no majors in her last three games, so will need to produce goals against a strong Pint defense which is no easy task. Queen Ant defender, Erin Hetherington can make life difficult for the Buffs’ forward if the midfield entries aren’t clean. Meanwhile, the Queen Ants forwards have been performing well. Danielle Suddaby has become the new spearhead with the support of Emma Greaves who is in fine form. Add to that talent with Kristen Smidts and Ellie Ryan, the Queen Ants wear a decent crown inside their 50. Pint has the fitness but Darwin has the experience. It is hard to pick a winner here, but it should be a tight contest. THIS is it, the home and away season is coming to an end this weekend in Round 18. Nightcliff belted the Eagles last week but even with their dominant performance, they could not escape the bottom of the ladder. It may stay that way when the Southern Districts look for a win as they take on the Tigers on Saturday morning. At noon fans will get to see the Grand Final Replay as Waratah and Darwin will face off at Gardens Oval. The evening will be a tune-up match for highly ranked Palmerston as they play against the Wanderers. On Sunday Pint will face the Saints as the Queen Ants prepare for finals. As for Tracy Village, they have the bye which puts their season to an end early. Last week the Crocs were missing a few stars in Tahlia Holtze and Tayla Thorn. This Saturday they may be managed ahead of finals as the Southern Districts face the bottom team on the ladder, Tigers. Nightcliff was impressive last week against the Wanderers, but the Crocs are a far superior team to the Eagles. The Tigers will look to Emma-Lou Wolsey and Shantel Miskin-Ripa in order to slow the Districts’ backline. Another classic bout between Waratah and Darwin would normally see an entertaining duel. However, the Buffettes have had a run of average matches against higher ladder teams. Tikesa Docherty-Cole is still missing from the side, meaning their forward line pressure is coming in waves. Kylie Duggan, Machaelia Roberts, and Celina Whan have been outstanding for the Buffs, but the rest of the team will need to step up to challenge Waratah. Waratah is a different story, as most of their players haven’t missed a beat. The Wanderers will finally see an end to a disappointing season, while Palmerston can cement their spot in second place with a win. Natasha Medbury, Jessica Stassi and Tabitha May are likely to prove too strong for the Eagles midfield, while forwards Freda Puruntatameri and Shenaida Bush have proved a deadly combination of late. As for the Eagles, it’s all about rebuilding from here. However, the Eagles will want to push the Magpies in their final game of the season. Pint has waited out some of the best teams due to their strong defense in the past few weeks, but this round they will want to boost their percentage. Cassie Henderson has had a fine season for Pint and looks likely to take home the club Best and Fairest. Ellie Ryan has been solid up front, while Erin Hetherington has been classy down back. St Marys has nothing to lose as they remain out of finals contention, but Alana Coombes may pop up for a few goals to end her season. IN three weeks it is finals time but for now, it’s the perfect opportunity for the elite teams to tune-up and get ready. Last week the Darwin Buffettes got a rude awakening from St Marys, this Saturday they will need to regain their composure against an in-form Pint. The battle of first vs last will follow as Nightcliff take on the reigning premiers Waratah. Up next, the Palmerston Magpies will get a chance to flex their muscles against Tracy Village. With the Razorbacks’ current form, the Pies will head in heavy favourites. On Sunday morning it is do or die for St Marys when they meet an angry Southern Districts. The Crocs suffered their worst defeat of the year last Monday, so will be eager to bring order back to the side and crush St Marys’ finals hopes in their upcoming match. If Pint secure this win they are a guarantee for finals regardless of other outcomes. Queen Ants, Cassi Henderson, Samantha Barnett, and Katie Streader should be well rested from the bye in round 15, while the once dominant midfield of Darwin has looked in trouble in recent weeks. Kylie Duggan and Machaelia Roberts seem to be shouldering most of the load while other stars are either injured or down on form. Dominique Carbone will need to step up in order to fill the void and strengthen their resolve. Up forward, Celina Whan has become the spearhead for the Buffs as she continues to perform despite the losses. Whan may prove the difference this week as Darwin need to escape their current rut. With only a few games left Nightcliff will have pride on the line. This match could not be any more one-sided, with the likes of Warratah stars, Amy Chittick, Lisa Miceli, Lisa Roberts, Madeline Gault, Lauren O’Shea taking the field. There have been glimpses of skill when Nightcliff were supported by Adelaide Crows draftees, but have struggled to have a consistent star from their main line-up. This match will be streamed live on YouTube, so hopefully the broadcast will spark the Tigers into action as they head towards the end of the season. The Palmerston Magpies have beaten the odds this season, with ladder leaders Southern Districts, Waratah, Darwin Buffettes and Pint all falling to the mighty Magpies. Pies stars Jessica Stassi, Tabitha May, and Natasha Medbury sent a statement to the rest of the competition when they broke the Crocs back on Australia Day. Shenaida Bush and Freda Puruntatemeri have also formed a dangerous combination in Palmerston’s forward line. This will be hard for Tracy to combat as the Razorbacks have struggled of late. Kristi Irvine is impressing, but the high injury list is taking its toll. The Crocs were disappointing with their last performance. The late byes and Tracy Village forfeit has clearly caught up to the Crocodiles and affected their form. The Crocs only managed one goal last week – Tahlia Holtze – while forwards Charles Deegan and Tayla Thorn failed to kick through the big sticks. Crocs leader, Lateesha Jeffrey will want to see a colossal effort against St Marys. However, the Saints will be no pushovers with Alana Coombes always dangerous up forward and Laelia Dunn a star against the Buffettes. The Saints are fighting for their season on Sunday – if the Saints lose there is no tomorrow, but if Pint defeats Darwin then St Marys is out of the finals race regardless. A strange turn has occurred in the Northern Territory Football League (NTFL) Women’s competition as Tracy Village forfeited its match against the Southern Districts. Three games continued after the shock withdrawal, as the Palmerston Magpies and the Darwin Buffettes duelled on a muggy day. The Buffettes started off well but the Magpies’ persistence would deny them a victory. St Marys fought off a hungry Wanderers to claim four premierships points, but the Eagles not going down without a fight shows they still have pride. In the final game, the Warriors only allowed Pint to score one point and crushed the Ants. Southern Districts won by forfeit. On a damp ground, the Magpies managed to wear down the Buffettes to a 15-point win. The match started off very sluggish as a tug of war, so neither team kicked a goal in the first quarter. Kylie Duggan and Machaelia Roberts clicked into gear in the second term, as Darwin scored two majors in a row. The lead was short lived as Freda Puruntatameri showed some brilliance inside 50 with a classy snap around the corner followed by a Jackie Chan-like goal, which put the Pies back in front. Undisciplined action would cause the Pies to lose the lead in the third tern, as two 50 metre penalties had undone Palmerston’s hard work. In the final quarter, Jessica Stassi would change the tide as she kicked her first major of the day. Janet Baird was next to pop up to boot two goals of her own, giving her team a decent buffer during the final minutes. Natasha Medbury kicked the final goal late to put the result beyond any doubt. Darwin was competitive early but simply ran out of legs against a younger team. Palmerston will face the Southern Districts this week in what should be another heavyweight match. Darwin Buffettes: C. Whan 2, M. Breed, K. Tinley, M. Turner. Palmerston Magpies: J.Baird 2, F.Puruntatemeri 2, N. Medbury, J.Stassi, S.Bush. With the Adelaide Crows practice match occurring on the same day, St Marys entered this match without the support of some of their stars. It mattered little as Alana Coombes stole the show, kicking three majors on the day. Coombes has been in good strides recently and is close to becoming one of the elite goal-crumbers in the competition. She was well supported by the efforts of Katherine Dann, who kicked two of her own. The Saints forwards controlled the scoreboard for the first three quarters, but a late charge by the Eagles saw a close match. In the end, it was too little too late for the Eagles as St Marys claimed the win. St Marys: A. Coombes 3, K. Dann 2. Wanderers: I. Briston 2, A. Moreen, T. Tipiloura. After their previous loss, the Warriors sharpened their spears last weekend and went hunting. Pint never got in the game, as defensive efforts by Sharona Bishop and Molly Cooper saw the Queen Ants score only one point for the game. Amy Chittick and Breanna Martin kicked six goals between them while Sue Nalder booted a pair of her own. The Queen Ants may have locked in their finals spot, but if they don’t believe they belong there they may fall out in the first elimination final. Waratah: A. Chittick 3, B. Martin 3, S. Nalder 2. ROUND 11 marked the final round for Northern Territory Football League (NTFL) Women’s football in 2018. Tracy Village kicked off things with a victory over St Marys. Both teams were desperate to end their losing streaks, but it was the Razorbacks who claimed the reward. Waratah handed the Magpies a wake-up call after a pounding that led to a 38-point deficit. Palmerston learned it will take more than talented youth to defeat last season’s premiers. The Wanderers had a tough day against the Buffettes, as Darwin made short work of the Eagles. The last game had Nightcliff raring to go on Sunday, but Pint’s desperation proved too much for the Tigers. The NTFL Women’s competition will resume on January 5. Tracy Village: R. Bull 3, J. Downie, K. Irvine. St Marys: B. Ullungura, N. Dunn-Richards, K. Hayes-Clarke, A. Coombes. In the first term, the Razorbacks came into the game with real purpose. Tracy Village kicked the first two majors to start the game, with forward, Rachael Bull looking dangerous. However, for the next two terms, the Razorbacks did not score. The Saints poked their nose in front in the third quarter, and it looked like Tracy Village was doomed for another loss. Kristy Irvine proved the difference, as the gun midfielder dug into congestion and kicked a goal to steady the ship. Irvine was not alone as Zhoe Clarke was awarded best on the field. Clarke was the support Irvine needed, and their combined efforts sealed the win for Tracy Village. The Saints seem to be in a spot of bother, as they have now lost three matches in a row. Natasha Dunn-Richards and Alana Coombes have combined well up forward in previous years, but lately, their influence has been curbed. Wanderers: P. Koulakis, C. Boyd, G. Halkitis, S. Bading. The Eagles had a good run of wins after a horror start to the year but on Saturday, they got shown the horns. Kylie Duggan showcased her drive in Darwin’s midfield, as the Buffettes went on a rampage in the first half. The difference in skill was overwhelming for the Eagles, as the heavy favourites stormed away by 35 points. Lauren Motlop was one of few Wanderers to stand up that day, but the Buffs had contributors everywhere on the field. Darwin now sits second on the ladder heading into the break. A well-rested Buffettes outfit could enter 2019 as an even more dangerous team, which is a scary prospect for the rest of the competition. If Waratah was a test for the Magpies to see how far they were from winning a premiership, they have a long way to go. Palmerston only managed two goals in a game that saw the Pies’ youngsters get outdone by the experienced Warriors. As for Waratah, Madeline Resinger put on a show for the Warriors, kicking three goals straight for the game. Amy Chittick complemented Waratah with a pair of majors, and Northern Territory Under-18 representative, Madeline Gault kicked one of her own. Billie Byers and Natasha Medbury fought well in the middle for Palmerston, but no forwards could escape the tight grip of Waratah’s defence. The Magpies will take notes from this game as they were rattled on Sunday by the reigning premiers. The Magpies need to get back to playing their fast-paced game that burns off defenders. Only then will the Pies have a chance of piercing Waratah’s backline. Pint: C. Henderson 3, D. Suddaby 2, C. Morris, E. Ryan, K. Smits. The Queen Ants secured a decisive win over Nightcliff, getting over the line by 36 points. Cassie Henderson was the machine that would not stop running all day, as she kicked three goals and gave the Queen Ants the winning edge. Pint had its confidence restored and the Tigers paid for it, as the players went into their shells again. Even with Adelaide AFL Women’s player, Chloe Scheer in the side, the Tigers could not score a goal for the first half. Pint forwards, Ellie Ryan and Kristen Smits hit the scoreboard, but due to inaccuracy, the pair would kick only one goal apiece. Nightcliff must regain its confidence over the holidays, because although finals may be out of reach, pride will be on the line for the remainder of the season. SOME big margins headlined an action-packed round in the Northern Territory Football League (NTFL) Women’s. Pint suffered its first loss of the season while the Warriors look increasingly likely to defend their title. Southern Districts put on an absolute clinic at TIO Stadium, smashing St Marys by 114 points. Charlie Deegan was the star up forward with four majors, while Kelsey Patterson chipped in with three. Rhiannon Busch, Melody Wehipeihana, Maria Moussa, Teka Voysey and Northern Territory (NT) Thunder forward, Tayla Thorn each kicked two goals for the Crocs. The only goal scorer for the Saints was Katie Sewell. After her five-goal haul in Round 1, Jaylene Boundry was kept goalless in this game. Donna Reed was named best-on-ground for the winning side, while goal kickers, Patterson and Deegan were named second and third best, respectively. D’Koda Lee-Feeney and Ebony Miller also impressed for Southern Districts. Despite the loss, Nikita Long played a great game for St Marys. She was complemented by Elouise Calma, Alana Coombes, Isabelle Porter, Simone Garner and Tuesday Turner. Top of the table Pint was taken back to Earth this weekend, as the Buffettes recorded a big 71-point win over the Queen Ants. The Buffettes raced out of the blocks early, kicking the first five goals of the match. After a two-goal first quarter and a three-goal second quarter, Darwin held a 35-point margin at the main break. The Queen Ants held the Buffettes up in the third tem, reducing the away side to just two behinds. Despite finally getting a goal on the board in the last quarter, Darwin managed to step it up another notch, kicking six goals in the term. Celina Whan led the way inside 50 with three majors while NT Thunder’s Machaelia Roberts kicked two, as did Meredith Turner. Robert’s Thunder teammate, Kylie Duggan got on the board with a major was named best-on-ground for her side. Ellie Ryan was the sole goal kicker for Pint. Hannah Quayle was named the best player for the losing side, and was complemented by Ryan, Erin Hetherington, Cassie Henderson, Samantha Freeman and Christi Hamon. As expected, Waratah got the job done over Nightcliff convincingly. The Warriors raced off to a good start with four first-quarter goals. The Tigers pegged it back, kicking one goal in the second term while Waratah kicked two. In the third quarter, the Warriors made amends for the slow quarter with eight goals to none. They continued their blistering form inside 50 with another six goals in the last term to take the final margin out to 121 points. Lisa Miceli backed up her three goals last week with five goals in Round 3, leading the way for the Warriors. Sharona Bishop got on the board with three majors, as did Amy Chittick, who was also named best-on-ground for the winning side. Jamie Lee Puautjimi kicked the only two majors for Nightcliff, and she was also named in the best. Natalina Skryzypietz led the way for the Tigers while Emma-Lou Wolsey and Sophie Hatzismalis continued their good form. In the closest game of the round, Tracy Village recorded a 30-point win over Palmerston. The Razorbacks held the Magpies scoreless in the first term, and goalless for the first half, taking a 13-point margin into quarter time and a 21-point margin at the main break. The scoring evened up in the third term with the Razorbacks kicking two goals and the Magpies kicking one. Palmerston continued to fight back in the last quarter with another two majors, but it wasn’t enough, as Tracy Village kicked two goals as well to win the game. Kate Barnes led the way with four majors for the Razorbacks while Sarah Bailie-Mace was named best-on-ground for the winning side. For the Magpies, Northern Territory Under 18 representative, Tabitha May was named the best player for her side. IN the Northern Territory Football League (NTFL) Women’s Premier League, the top six qualify for finals in the nine-team competition. In the post-season, the top two guarantee themselves a double chance, playing off in a quarter final, while third takes on sixth and fourth takes on fifth in elimination finals. The winner of the qualifying final takes on the lowest finishing winner from week one, and the loser takes on the highest finishing winner. From the semi-finals, the two winners play off in the decider. We will be covering the competition with a preview and review each week, and ahead of the first round we take a look at how each of the sides went last season. The Darwin Buffettes finished second on the ladder last year with 13 wins and three losses. Their season began with a 150-point win and ended with a 35-point loss in the Grand Final. Darwin experienced some thumping wins but its losses were all close, especially when the Buffettes went down to Palmerston by one point in Round 4. Delsey Ah Wang was the side’s leading goal kicker for the season, kicking 25 goals from 18 matches, including a five-goal haul. 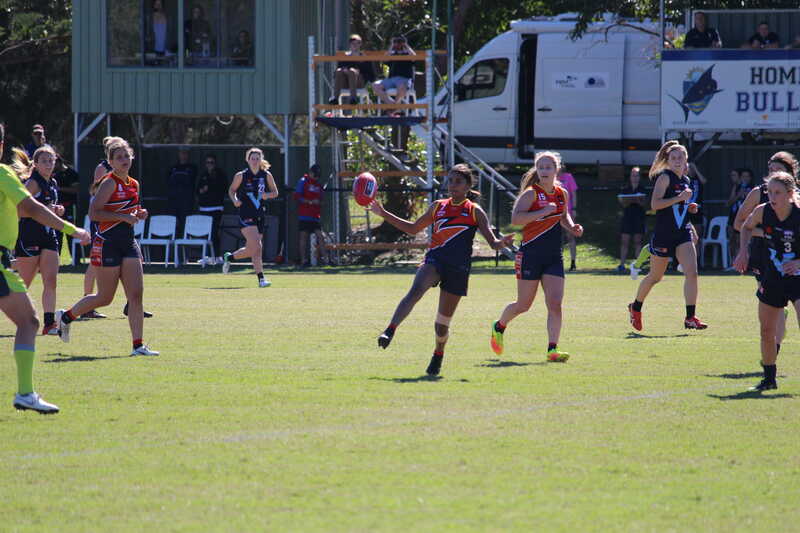 Northern Territory Under 18 representative, Machaelia Roberts was one of the standouts last season, with 15 goals to go along with appearing 10 times in the best players. NT Thunder teammates, Kylie Duggan, Jordann Hickey and former Adelaide AFL Women’s player, Jasmine Anderson also had impressive seasons. Did not record a victory in season 2017/18, but had a number of spirited losses, including a 12-point defeat to third placed Palmerston in the penultimate round. Alexandra Biggs was the Tigers’ leading goal kicker with three goals from 11 games. American midfielder, Jess Blecher played three games with Nightcliff before heading down to Melbourne to play for Northern Football Netball League (NFNL) side, Keilor. Came within four points of an upset win in the semi-final against Darwin Buffettes, but had to be satisfied with a top four finish after an impressive third-placed finish in the regular NTFL Women’s season. The Magpies started off the season well, with six straight wins to open up their campaign. Their losses came against quality sides in Waratah, Darwin Bufferttes and St Marys, who all finished in the top four last season. Jessica Stassi was Palmerston’s leading goal kicker, with 14 goals from 13 matches. Northern Territory Under 18 AFL Women’s Most Valuable Player, Janet Baird was a member of the side last year and kicked six goals in her 17 games. Fellow Northern Territory representative and NT Thunder player, Tabitha May was also a member of the side. The Green Ants went down to St Marys by 23 points in the elimination final, making the post-season series ahead of other teams in the mid-table logjam. Six wins and 10 losses saw them finish fifth, with wins coming against the Wanderers, Southern Districts and Nightcliff. Elise Fenna was the Green Ants’ leading goal kicker, with 17 goals from eight matches, including a bag of six. Cara Evans was another player who consistently scored goals, kicking 14 majors from 13 games. St Marys was outclassed by eventual premiers, Waratah by 60 points in the semi-final, but enjoyed an elimination final win over Pint by 23 points. Laelia Dunn was the competition’s leading goal kicker with 42 goals from 18 games. In one match, she kicked a whopping 14 majors. Alana Coombes finished fifth in the competition, with 23 goals from 16 games. 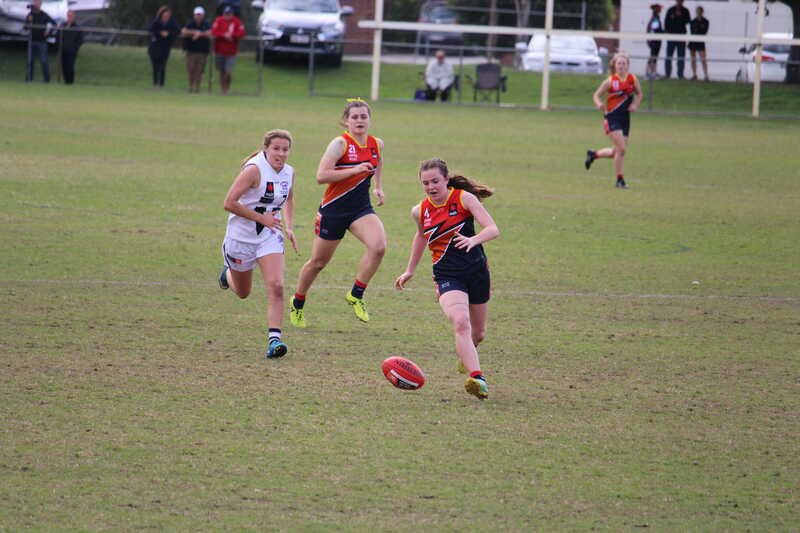 Northern Territory Under 18 representative and Essendon Victorian Football League (VFL) Women’s player, Danielle Ponter was a member of the side and kicked 16 goals from 15 games, being named in the best three times. Other notable names include Essendon VFLW player, Michaela Long. Recorded the five wins in season 2017/18, missing out on a finals berth by percentage. 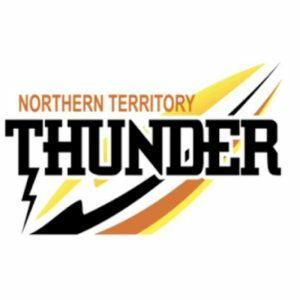 NT Thunder player, Tahlia Holtze was the side’s leading goal kicker with 14 majors from 16 games. She was also named in the best six times and kicked a bag of five on one occasion. Fellow Thunder player, Lateesha Jeffrey was also a member of the Southern Districts, playing 17 games for seven appearances in the best. Despite a couple of hefty losses at the start of the season, the Southern Districts bounced back throughout the season with some hard-fought wins throughout the middle and end of the season. Round 1: vs. Darwin Buffettes – TIO Oval No. 2, Saturday, 6pm. The Razorbacks went down to Palmerston by 15 points in the elimination final in a brave effort against the third placed side, a team which had seven more wins in the regular NTFL Women’s season. NT Thunder player, Kristy Irvine led the way in goals, with 19 goals in 13 matches. She was also named in the best seven times. Some convincing wins against Nightcliff, Wanderers and Pint were highlights of its season. Round 1: vs. Wanderers – Gardens Oval No. 2, Sunday, 11.30am. Had the four wins in season 2017/18, finishing ahead of wooden spooners Nightcliff, but just one win short of a finals berth. Keyona Desatge was the side’s leading goal kicker with six goals from 13 games. Georgia Halkitis and Shekeine De Satge each kicked five majors for the season. A 141-point win against Nightcliff in Round 1 kickstarted their season but they feel away in the subsequent rounds, recording a further three wins for the season. Round 1: vs. Tracy Village – Gardens Oval No. 2, Sunday, 11.30am. Took home a remarkable sixth flag in seven seasons after winning the 2017/18 premiership, toppling Darwin Buffettes by 35 points in the decider. NT Thunder star, Sue Nalder led the way in the goal kicking, with 32 goals from 15 matches, including a bag of 10. Thunder teammate, Madeline Gault also got amongst the goals with 19 goals from 14 games, including a bag of six. The duo also featured prominently in the best, with Nalder appearing six times and Gault appearing five times. Waratah only lost one match during the season, recording 15 wins. The Warriors will certainly come in as favourites this season.